Once upon a time video was costly, complicated and something only professionals would attempt … but that has all changed with the advent of the smartphone and mobile devices. In fact, news agencies around the world now depend on citizen-journalists to provide them the footage they need to create the news. Simple … as a REALTOR you have the ability with the simple press of a button and the Facebook app on your smartphone, to record LIVE video for the world to see – literally for the WORLD to see! Ok – so maybe the world isn’t your target market but definitely your current/past customers, sphere of influence, friends, family and anyone who is or could be a potential customer! Facebook LIVE video is so important that Mark Zuckerberg; CEO of Facebook has stated that LIVE video will be given more exposure and reach in the Facebook feed than video that is only uploaded. Oh and video trumps images and regular text posts too. One of the reasons is the engagement element – people on average will watch a LIVE video three times longer and to Facebook the longer you stay on its site, the more revenue for them in terms of sponsorship dollars. But let’s bring this back to you and your real estate practice. As you start doing LIVE video don’t be concerned with the number of views because frankly in the beginning you may not have any … BUT … like the movie Field of Dreams … keep doing it and they will come! When you go LIVE anyone that has LIKED your page gets notified automatically that you are doing a LIVE video, and if your content is good they will keep coming back and hopefully tell their friends and share your video. Which brings us to a very important point … be sure you tell people to LIKE and share your video as you are doing it … and tell them often throughout your broadcast. Though Live is made to be spur-of-the moment (at an open house? Do a quick broadcast and share it with your Facebook friend!) there are a couple of things to think about before you put together a planned Live broadcast. It’s a good idea to tell people you’ll be going Live ahead of time, so they know to watch for your video. Try to get a few “promo” posts in there, and tell people what time you’ll be on. Check to make sure you have a good connection, so you don’t cut out unexpectedly. There’s no faster way to lose viewers. Wifi is best, but try to have a 4G connection if you aren’t on Wifi. Write a fun description before you go live, that will make people want to watch. Tell a story, make it interesting, give a “sneak peek” of a house, etc. Like a good TV broadcast you also need to have a structure in your LIVE “show”, so think in terms of a Beginning, Middle and End. Middle – this is the during your LIVE broadcast – you will notice people making comments so be sure to acknowledge them by name. People love to hear their name especially on TV … and for all intents and purposes, your LIVE broadcast Is LIVE TV! Make a point to repeat throughout your broadcast what your video is about. The reason is this, people will start to watch and leave, some will stay to the end, some will jump out and then come back as new viewers jump in. Repeating your topic helps to let everyone know what you’re talking about and as a result, a higher engagement. Remember to tell people to Comment, LIKE and share your video – often throughout your broadcast. And ask them to click the FOLLOW link during the live event. It should be just below your video, and viewers can click it to receive notifications any time you’re live. Facebook LOVES video AND it rewards good videos by placing them higher in their newsfeed – meaning more people will see your videos more often. Engagement is measured by view time, Comments, Shares and LIKES so make sure to respond to ALL comments. Every time you respond to a comment that video gets pushed back into the feed which means more views for you and the really cool part … this didn’t cost you a penny! Knowing that people are more apt to respond to your LIVE video you absolutely need to be doing this on a regular, consistent basis. Now I know what you’re about to say … Michael – what do I say, what kind of video do I shoot? I’ve got you covered – check out this previous video and article on what types of video you can shoot on Facebook LIVE, and read THIS article for basic video tips that will help up your video game. It will help you create video people actually want to watch! Facebook LIVE video is a Realtor’s best friend and can easily differentiate you from your competitors and portray you as the celebrity authority that people come to know, like and trust. BTW PLEASE feel free to reach out to me with any questions or comments – I’ll be happy to help. Lights, Camera, Action … take a deep breath, SMILE and press Go LIVE today – you’ll be glad you did! Thank you Betty – hope all is well by you! Do you have any recommended content that you recommend to be used in my video’s? I am attempting to establish myself in the luxury real estate market in Walton County Florida more specifically the 3OA market. 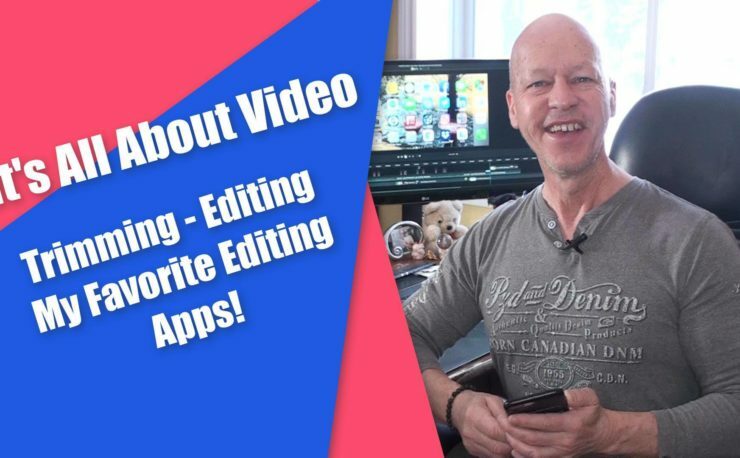 Great information that you provided in this email and I will purchase the 2 items you mentioned to assist me in mmaking sure the quality of my videos is the best possible. Hey Buddy so glad that you found this article helpful and more importantly that you ARE taking massive action. Oh and BTW … you just gave me a great idea for next week’s post .. What Kind Of Videos Do I Make … so that YOU for that. Which Gimble stick do you recommend for a realtor that is new to live streaming? Thanks for Sharing your ideas Michael, you’re giving me new ideas for video. I used to drive through neighbourhoods with my video showing the neighbourhood and talked about house prices …might be a great idea for Facebook live? Always great advice Michael, thanks for the tips! Hey there Hunter – how goes it by you? Combining your articles on video makes them super helpful. Much appreciated Clark especially since you have access to Duncan aka Mr Technology only a stone’s throw away. You’re most welcome Ron and thanks for taking the time to comment!